Palmento in Cork is offering a two-course gluten free menu including arancini with Toonsbridge mozzarella and sundried tomatoes and a gorgonzola dip, served as a starter or side, and a gluten free pizza with a red pesto base, topped with roasted peppers, mushrooms, caramelised red onion, mascarpone and Toonsbridge mozzarella. At Howard Street in Belfast, diners can enjoy a Smoked fish red curry made with pan fried Ewing’s pale smoked haddock, tiger prawns, sautéed potatoes, tender stem broccoli and a Thai red curry sauce. 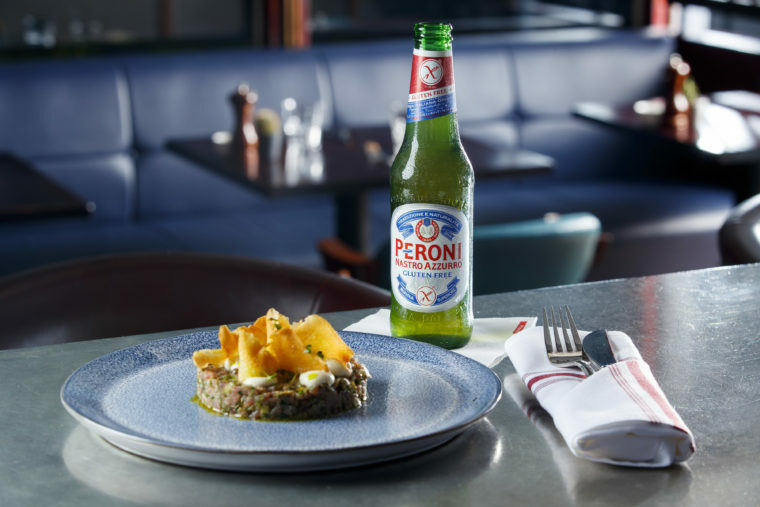 Each dish is designed to pair perfectly with Peroni Gluten Free. Additional participating restaurants include; Café en Seine, Rustic Stone, Fade Street Social, Brasserie Sixty6, House Leeson Street, Sophie’s, Roberta’s, Layla’s, Isabelle’s, The Lucky Duck, The Grayson, Angelina’s, The Still House Down, Neill’s Hill Belfast, Acton’s Belfast, Soho Bar Cork, and Brick Lane Cork. To enjoy this offer, simply make a reservation at your restaurant of choice and choose the special Peroni Gluten Free dish when you place your order. For updates on Peroni Gluten Free Restaurant Week, which takes place from Monday, 4th February to Sunday, 10th February, 2019, follow Peroni Ireland on Facebook, Twitter or Instagram, or visit www.thehouseofperoni.com. Over 18s only.